Need A Flooring Contractor in Richmond Texas? Calling Infinite Designs to install flooring in your Richmond home or office building is the natural choice. Your trusted Richmond general contractor also has vast experience in installing most types of flooring, including hardwood, laminates, tile, and natural stone. Whether you are planning to refinish your wood flooring, or remove worn carpeting and install new hardwood floors, call Infinite Designs for a free, fair estimate. 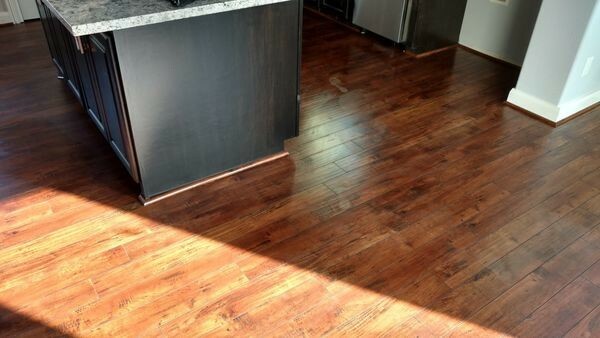 There are available more residential and commercial flooring choices in Richmond now than ever before. Sustainable choices such as bamboo and cork have become more popular and reasonably priced than they were years ago. Hardwood flooring continues to be a classic choice, and laminate flooring options are greatly improved, to give an inexpensive look of stone or wood. No matter your flooring budget, rest assured that Infinite Designs will hold each job to the highest quality standard. We use fine wood, tile and stone flooring products and the best Richmond flooring contractors to install your residential or commercial flooring. Whether you want to install economical, VCT flooring in your office space or mudroom, or gleaming marble in your dining room, Infinite Designs will not disappoint! All work is guaranteed.